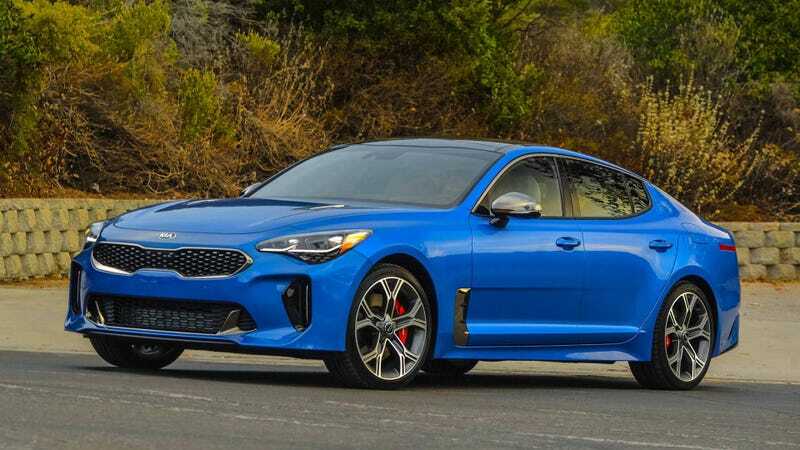 So expect more GT trim models from Kia. Just don’t expect an in house skunkworks division. There’s a XT4-V sport coming? And apparently Cadillac has a new content strategy to get people (so they think) to move up to different trims. According to GM Authority, at the press event for the XT4, Cadillac showed this content strategy off with rumors of a coming Xt4-V sport. But they are saying don’t expect a V6 engine and I wouldn’t either. Expect some sort of turbocharged 4. So V Sport with light on the sport. Whatever engine this sport model comes with is the engine the Sport trim should have had already. And should stay in Europe. At least according to Car & Driver. They went to Europe to test the Stinger CRDi. Its powered by Kia’s 2.2 turbodiesel I4 putting out 197 horses and 325 lb-ft of torque. They described it as unrefined, sluggish and not efficient compared to rivals. So as much as we love diesels here, this one might be one of the exceptions. In their attempts to keep their seniors hip and young for a little longer, the 300, Charger, Challenger and Durango get new colors for 2019. The LX’s/LY’s all get the same color called Triple Nickle if you’re at Dodge, or Silver Mist if you’re wanting to get crazy conservative over at Chrysler for a 300. The Durango gets the popular cement like color called Destroyer Gray. Engadget is reporting that the advanced Nexo from Hyundai is going to be available in California by years end. Only at a handful of dealerships though. Literally. Like only 2 (and of course in higher income areas) Keys Hyundai in Van Nuys and Tustin Hyundai. No word on pricing yet but if you live in SoCal like I do, expect to only see these things running around in SOME parts of LA or Orange County. Even here, there aren’t that many places to refill on hydrogen.